"We don't stick to one style, we want to please all of the people who come to see us. We don't have a set style because we like many genres; we read our audiences and pander to their needs. We know they enjoy the family feeling that comes with the close bonding we all share for each other and we hope that our family warmth spreads itself whenever we play"
Yvonne, born in the East End of London in 1952 to a musical family of singers and pianists. Studied music from early childhood but with the arrival of the 60's and Beatle mania left the classical scene for the psychedelic world of pop music. She became lead singer with many different emerging bands, learning her trade with soul, tamla, pop, and eventually rock bands. She has toured with many famous 70's groups and has spent her complete working life dedicated to music both classical and pop. She enjoys working with all the family when they are together but these days she and Steve spend most of the summer in france working, and on return they work with Steph as well as a 3 piece. The whole family are busy working musicians so only on very special occasions do they all come together to play. 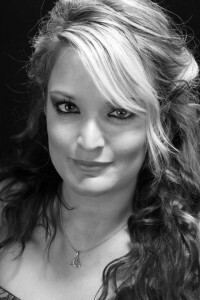 During term time Yvonne teaches piano, sax, flute, clarinet, guitar and singing. She holds a diploma with the London College of Music for singing and Batchelor degree in Music and a Masters Degree in composing. Steve, born in Rotherham in 1952 to musical parents, First major senior school report declared: Stephen would be a better pupil if he spent more time studying and less time growing his hairand trying to look like a pop star, but being a child of the sixties and with musical parentage, it was an odds on chance he would move quite naturally into the world of music. 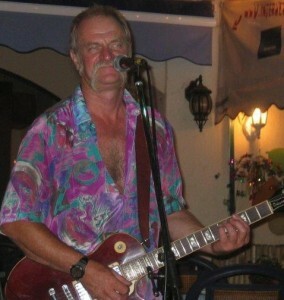 Steve has a diverse range and experience of many styles of popular music. Not least the folk scene, which he enjoyed for many years before meeting Yvonne and the birth of their children. Apart from his flare for developing all the songs with the appropriate guitar riffs, he is also the comedian of the band, bringing humour not only to his audience but very often leaving the rest of the band helpless with laughter. Steph - born in Essex in 1982. The Clarke family moved to Wales almost immediately after Steph's birth . Both Steve and Yvonne had original family links to North Wales and returned in the early eighties. She was brought up a native Welsh speaker in a little village near Caernarfon where the family home is. She was just 5 when she started piano lessons and it wasn't long before she started singing and drama lessons with a wonderful teacher from Bethel (near Caernarfon). She spent virtually all her young life going to music and drama festivals all over Cheshire, Lancashire and Yorkshire where her name can be found on numerous trophies. At the age of 11 she had passed Grade 7 Piano and started to take an interest in other instruments. The first two she enjoyed were the oboe and flute but she was told she had to choose one or the other. She proved her tutors wrong by passing Grade 8 on both instruments within three years receiving Honours and Distinctions for her performances. During this time she also took up the violin, which she also attained a high standard on in examinations. Since then she has learnt the clarinet and the saxophone, passed Grade 8 piano and Grade 8 Singing with honours. She is also a Gold medalist for the London Academy of Dramatic Art. She has taught herself bass guitar and plays nearly all the above instruments at some point during an evenings performance switching from one instrument to another with total dexterity. She is the main Welsh vocalist for the band with Yvonne (Mum) harmonising a very homogenised blend. For now she works with Mum and Dad to form the trio Dangerous Age in the UK, and when she flies down to France in the summer, she often joins them there too. She is currently finishing her second year in Nursing at University of Bangor, Wale. 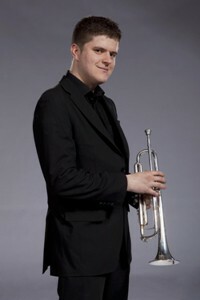 Ross was born in Wales in 1988 and from his earliest recollections was obsessed with Mozart. He started piano lessons at the age of 4 and by the time he was 6 had passed Grade 4 piano with Honours and Yvonne and Steve sought professional help from both the Yehudi Menuhin School in Surrey and Chetham's School of Music in Manchester. Both schools felt that the tiny boy needed expert guidance in keyboard studies and eventually a tutor form Chetham's saw Ross on a regular basis. Ross also played violin at that time and was seriously considered for the Menuhin school until he reached the final stage of selection when he revealed to them that he thought he would enjoy trumpet better than violin and so Chetham's accepted him and gained a fabulous trumpet player. He was 9 years old when he started boarding in Manchester and is one of the music schools finest players. Like his father, he too is a born comedian and is totally adored by his sisters. Ross has been runner up in Texaco Young Musician of the year 2004, qualified for BBC Young Musician of the Year 2003 Has been on tour with his 5 piece Brass quintet in Romania and more recently with Voice appearing at the NEC Birmingham, Sheffield Arena, Arena Manchester a 5000 strong choir for which Ross was the trumpeter for the backing band. He has also been presented with a brand new flugel horn from Fame Academy and played with Jamie Callum at St. David's Hall, Cardiff. He is currently working in Kazakstahn in the Astana Opera Company. Jess was born in Wales in the Summer of 1990. She like her brother had early inclinations to play piano and started as Ross did at the age of 4. She also received violin lessons from a local tutor, which she enjoyed immensely until one day Ysgol Nebo introduced a local cello teacher who brought several instruments with her. Jess returned home that day buoyantly announcing that this was the instrument for her. She was only 6 but knew exactly what she wanted. By the time she was 7 she too had auditioned for Chetham's and was accepted to start there when she reached the age of 9 She studied cello and piano at the school and enjoyed chamber music and playing in the symphony orchestra. However before she started the school she played the flute as well and attained a very high standard by the time she was 8 years old. 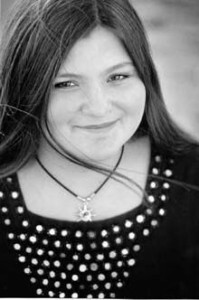 Jessie's sweet nature and gentle disposition gives the family it's well rounded shape with all their audiences feeling as if they are part of the family by the warmth that is generated. Jessplay bass with the band as well as squeeze box, flute and piccolo. Jess currently works as a peripatetic music teacher with 16 schools to visit, teaching flute, cello, violin, clarinet, guitar and piano.